Unable or unwilling to control the military, Japan’s political leaders sought greater security in August, 1940 by establishing the “Greater East Asia Co-Prosperity Sphere”. By doing this they openly proclaimed Japan’s intention to drive the Western imperialist nations from Asia. The real aim of this Japanese-led project was to become independent of supplies from the West and not, despite all propaganda, to “liberate” the long-subject peoples of Asia. Thoroughly alarmed by this growing threat in South-East Asia, the United States responded on July 26 by temporarily halting diplomatic negotiations with Japanese representatives, instituting a full embargo on all export of oil, steel and scrap iron to Japan and freezing Japanese assets in U.S. banks. In one stroke Japan lost 75% of its overseas trade. Worse, she was left with oil stocks barely sufficient for three years of peace or not even half that period in wartime. The Japanese Prime Minister Konoye called in Ambassador Joseph Grew and secretly offered to give up Indochina and China, except for a buffer region in the north to protect Japan from the Soviet Union. In return he asked the U.S. to broker a peace with China and opening up the oil pipeline. 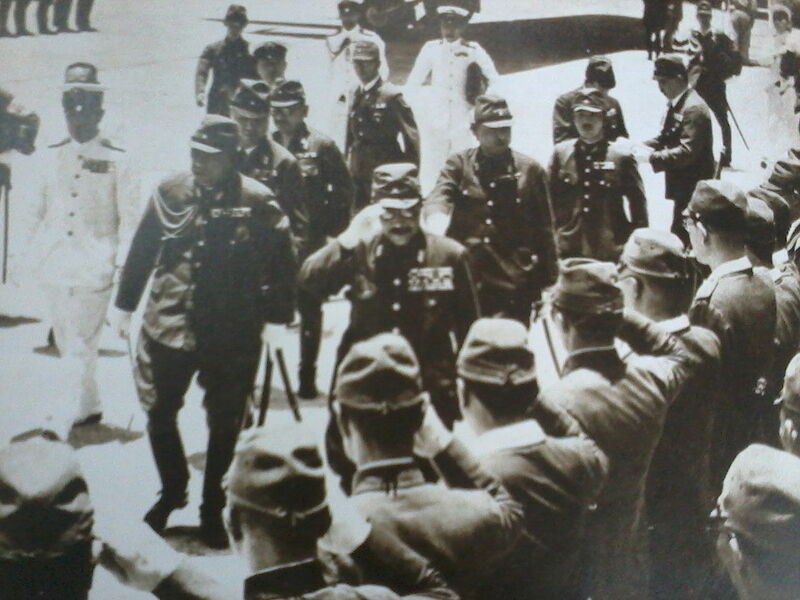 Konoye told Grew that Emperor Hirohito knew of his initiative and was ready to give the order for Japan’s retreat. But the US state department spurned the offer and did not inform president Roosevelt until much later; Konoye fell from power and was replaced by General Hideki Tojo. Having to choose between the death of the empire or to fight for its life, Japan decided to fight. Emperor Hirohito approved the the operations plan for a war against the Western Powers on November 5, 1941. And one of its most important objectives was to seize the Dutch East Indies, producer of oil, bauxite, coal, rubber, copra, nickel, timber, quinine, as well as important foodstuffs such as sugar, rice, tea, and coffee.